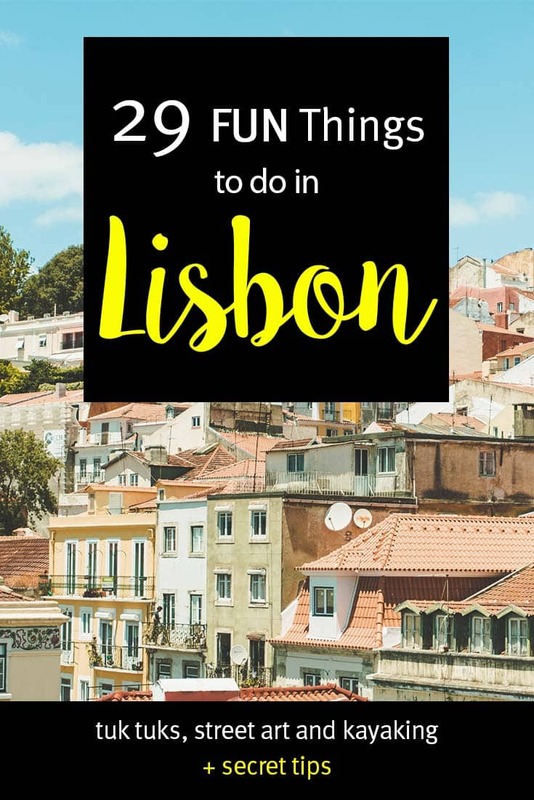 Here you have it; the very best list of 29 FUN things to do in Lisbon, Portugal. This is not your ordinary 5 coolest things to do in Lisbon – list. No this is your insider guide to the best the Portuguese capital has to offer. Or at least, what we think is pure fun. Lisbon is Portugal’s hilly, coastal and historical capital city. 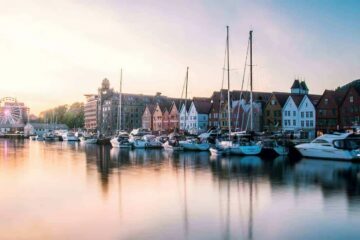 It’s a paradise for beach lovers, foodies, history geeks and of course, hostel geeks! This is an extension of our popular travel guide, featuring 5 Secret Tips for Lisbon. Keep scrolling and you’ll find our first-hand pointers on what you need to know about Lisbon. 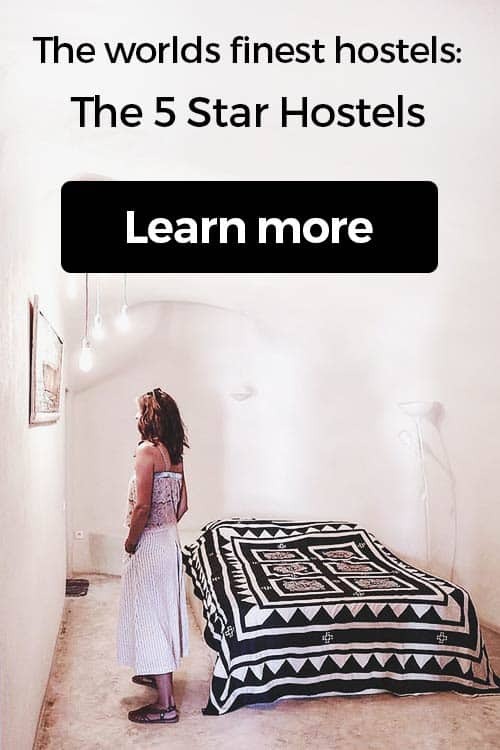 Scroll further and discover our 5 Star Hostel Sunset Destination. This is the #1 hostel in Lisbon. It comes with a roof top terrace and a swimming pool on top. It’s certainly the best place to stay in the city. 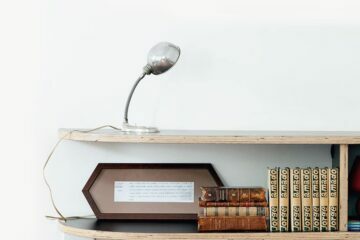 This list covers a few things you may not even expect. This is not your typical guide. 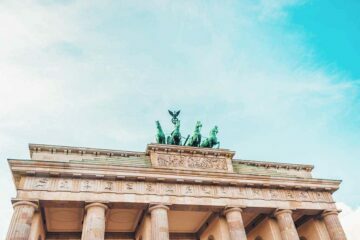 But for sure, this guide offers cool activities for everybody; for solo-travelers, couples, families with kids, retirees. 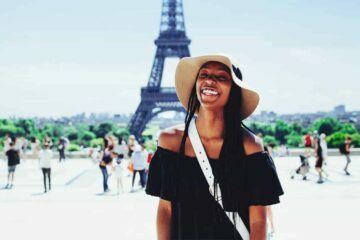 Enough introductions; What to do in Lisbon is the real question! Choose the stuff you are interested. And please don’t forget: You are on vacation, so keep enjoying and take it slow! 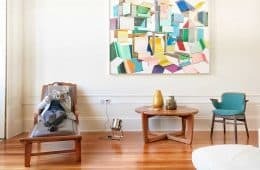 Is your stay in Lisbon short? Find all main activities and tours here. 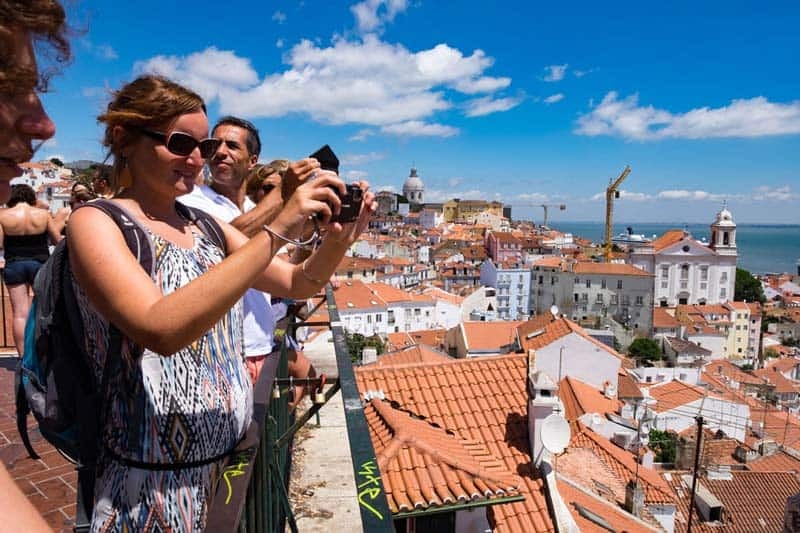 Easy: This spot is the best viewing point in Lisbon! Bring a bottle of red wine, a blanket, and enjoy the best view over Lisbon while the sun goes down! It is the perfect spot to end the day after a long, long day in the city. It is also quite a romantic spot, so one of the many romantic things to do in Lisbon for couples. 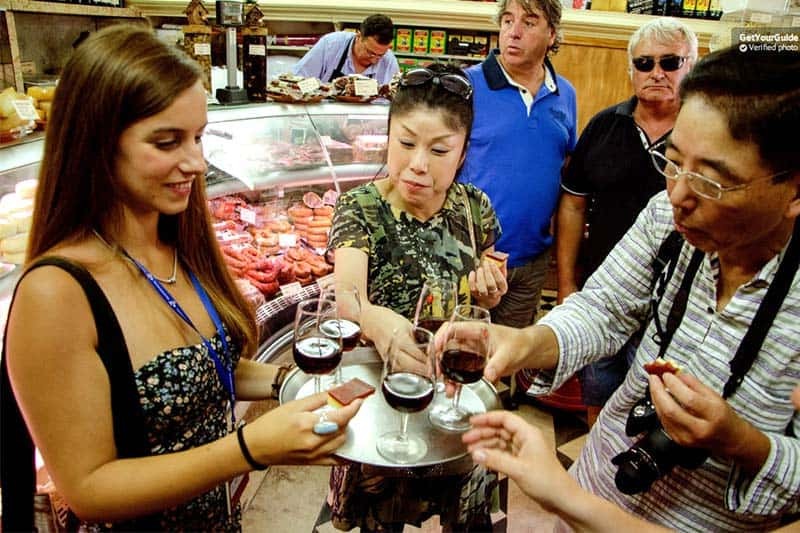 Lisbon and Portugal is about food – besides many other things. The Mercado da Ribeira is a big market hall with dozens of restaurants and of course a top spot to buy local ingredients. Here you’ll find all kinds of cuisines you are craving for! A few years back, the Mercado da Ribeira was still a hidden gem. Nowadays, tourists discovered it already. No worries, it is still a wonderful experience. And we have a few more hidden gems below. 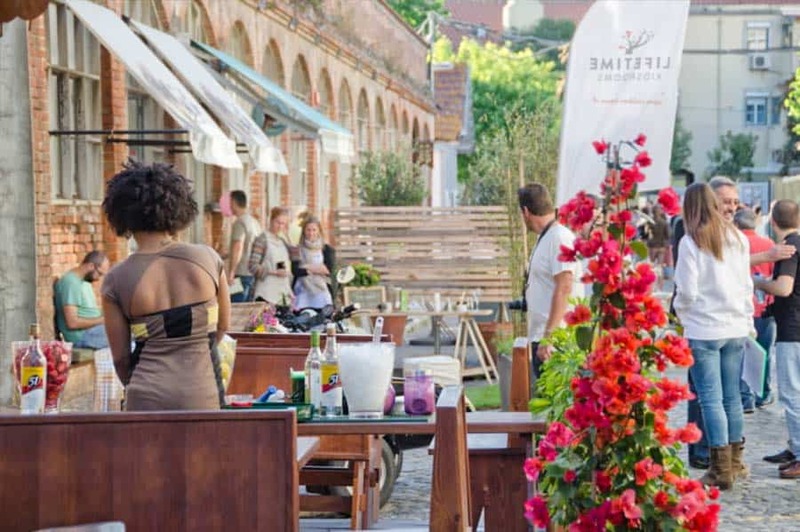 Good to know: Mercado da Ribeira is also known as Time Out Market. And hey, this market place is located just across the 5 Star Hostel Sunset Destination Hostel. Free open air concerts sound awesome, right?! Every weekend during summer there are bands and DJs playing in different locations around Lisbon. Good vibes and chilled atmosphere! For concerts, and any type of events, check out the official tourism website of Lisbon. However, there is one spot we love to recommend. 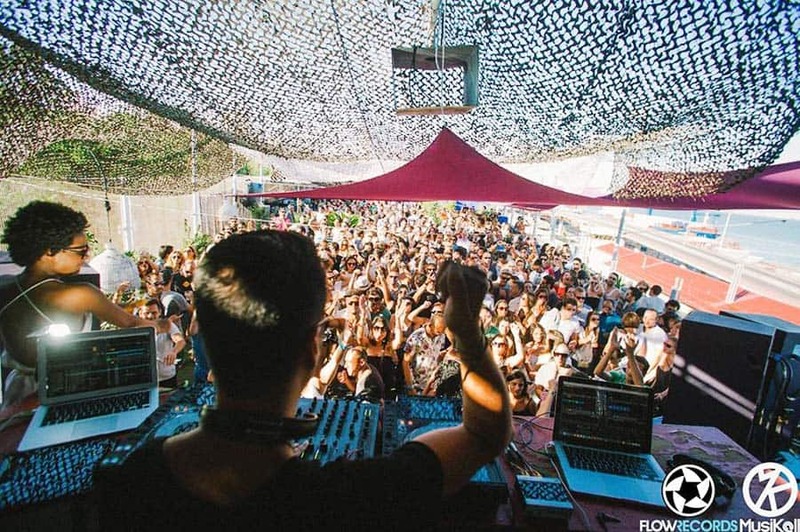 Clube Ferroviário is the new kind of social club, organizing many cultural events such as open-air cinema, theater, art performances, concerts, and more. Check the events for your travel dates at their official Facebook fan page. Lisbon is located right at the Atlantic Ocean. So it is normal there must be some cool beaches around, right?! Costa da Caparica is the perfect beach for the beginner surfer. Just take a bus from Praca Espanha, rent your surfboard at a local surf rental, and enjoy the Atlantic waves! You can also join beginner courses here. 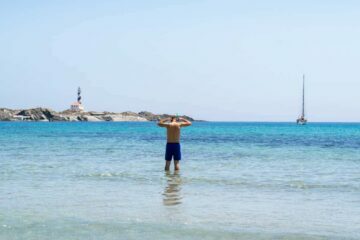 As this beach is easy to access from the city, this beach can get crowded. If you like walking, walk more south along the beach – the further you go, the less people you will find. Good to know: This beach is also fantastic to enjoy sun bathing! 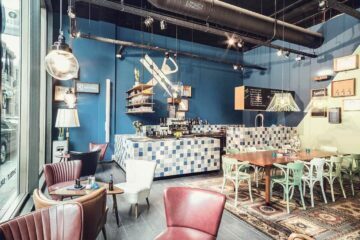 The Pensao Amor is a fun bar, art gallery, and cocktail bar! It’s a former brothel which kept its unique atmosphere and might be just the right place to end the night! This bar is not the cheapest bar around Lisbon, but we think it’s worth the extra coin. Also, this bar is located just 2 streets away from the 5 Star Hostel Sunset Destination Hostel. We told you, we have a few more hidden gems in Lisbon up our sleeve. This little gem of LX Factory is for everybody who is into creativity! The LX Factory is a miniature of a city loaded with creatives. Architecture, music, fashion, design, art, food – the LX Factory is a trendy spot for locals to come together for concerts, enjoy meals, art, and all types of performances. You can find all special events and their regular schedule on the official website. A tram ride has to be on your bucket list for Lisbon. I mean, many cliché photos from Lisbon show a yellow tram. It might be touristy, okay, but it is really really cool! This tram of #28 was developed in 1914 and happens to showcase the best spots in Lisbon. 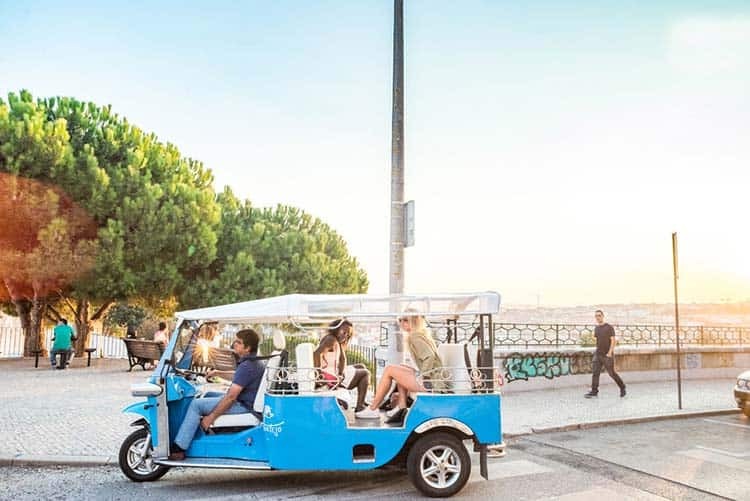 Costing no more than a couple of Euros for the entire journey, we’d say this is one of the best ways to explore the city! Top tip: attempt to hop on during less sociable hours of the day. It’s incredibly popular. Are you a bit of a history nut? Cool! first tower built to defend Lisbon. The surroundings of Belém Tower are also very beautiful. Coincide your visit with a tram ride that follows the coastline. Fun: can you locate the rhinoceros shaped gargoyle? Grab your fast track entrance ticket here. Alternatively buy a Lisbon Card for all popular attractions. This is the better option when planning to visit more than one sight. Furthermore, you receive big discounts on other museums and sights such as Padrão Descobrimentos – 30% and Belém Monumental – 20%. Okay, this is for sure one of the weirdest things to do in Lisbon. Seriously. An early Portuguese serial killer’s head is alarmingly well preserved in a jar at the University of Lisbon. Perhaps a bit disturbing, yet strangely fascinating. 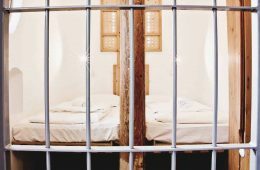 This is certainly a perfect example of morbid tourism! Go to the Hospital de Santa Maria (next to the University of Lisbon) and head (haha get it?) to the anatomy section. Ask a member of staff to point you in the direction of Diogo Alves‘ head. Read more about the well-preserved head here. 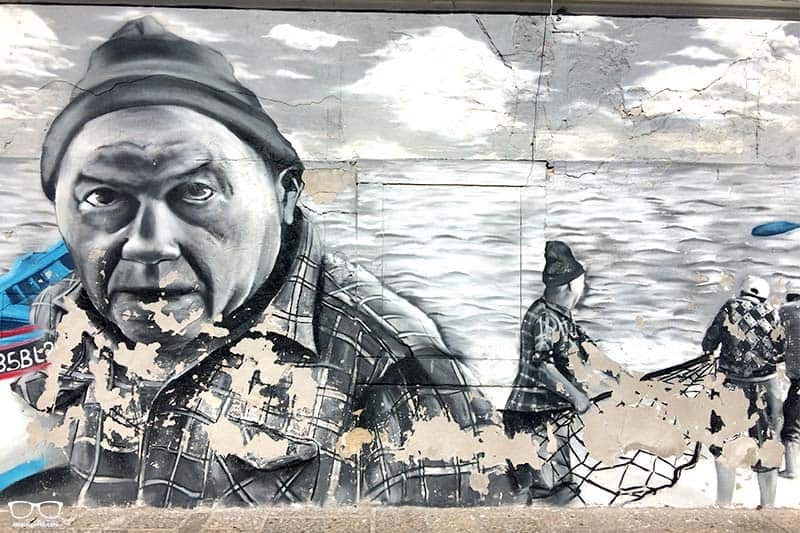 The street art in Lisbon is somewhat impressive to say the least. What’s cooler is that a lot of it is hidden away from the obvious city spots. 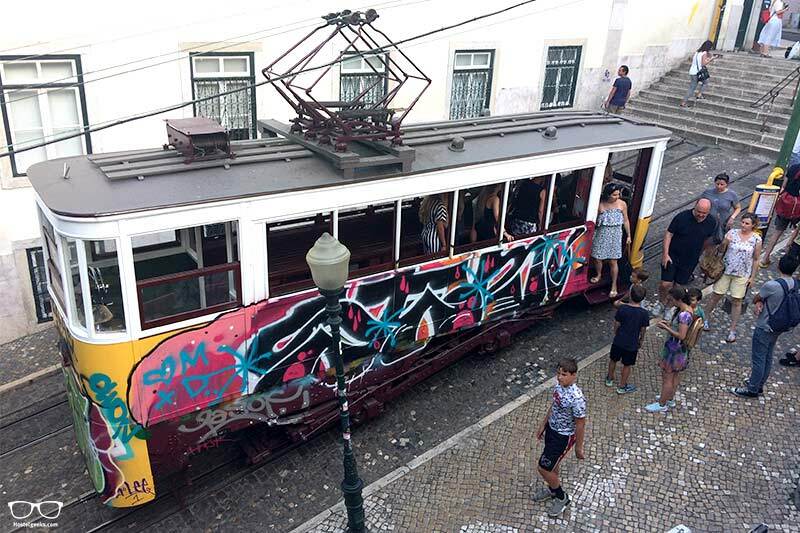 That is why we deem the Street Art Tour to be one of the coolest things to do in Lisbon! Follow someone who knows and discover the most impressive art without hassle. For those of you looking to have a wild time, a classic pub crawl experience is perfect. This Pub Crawl in town happens to be the biggest in Lisbon! Explore the coolest bars and clubs for 5 hours or more. Skip the lines, enjoy 1 hour of unlimited sangria and dance like no one is watching. Forget about planning – relax and blindly follow your guide for the evening. This unique music genre dates as far back as 1820s Lisbon. Lisbon is where it was born! Cool fact: the word Fado means „destiny, fate“. 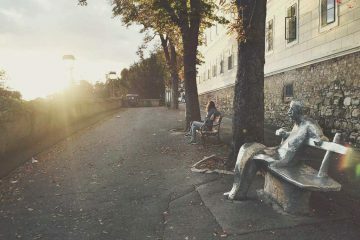 It’s profoundly melancholic and deserves some attention whilst you’re in the city. Heck, UNESCO declared Fado as an Intangible Cultural Heritage of Humanity. Find your Fado in Chiado tickets here. 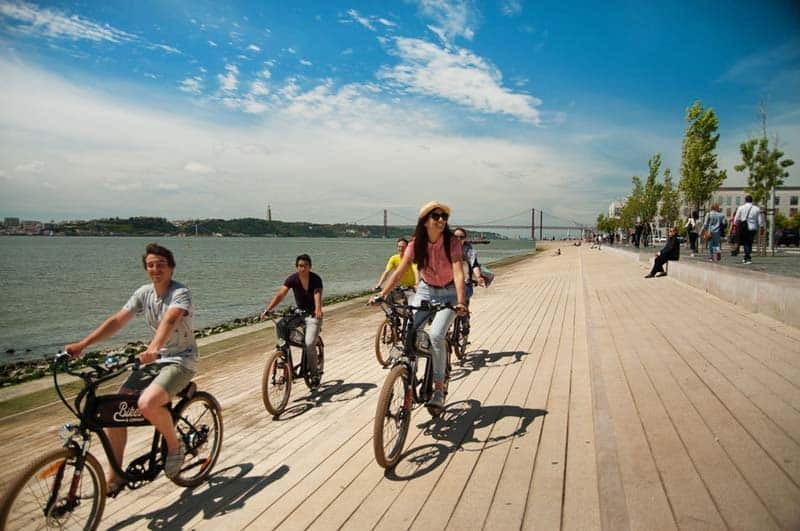 Looking for a fun way to kick start your Lisbon adventure? Consider learning about the essentials: history, stories and lifestyle. We agree, it’s lovely to aimlessly amble around. But there’s much to be said about fully understanding what you’re looking at. Bring this beautiful city to life by joining the Lisbon Essentials Tour. Did you know? Lisbon was hit by an earthquake in 1755. Now you do, so go and impress the tour guide! For the love birds out there, this one’s for you. After you’ve enjoyed the sunset at the top spot in Lisbon (see #1), go one step further. Watch it from aboard a yacht! It’s a super cool way of seeing the famous landmarks from a new perspective, too. Just bring yourself – wine and blankets are already onboard. 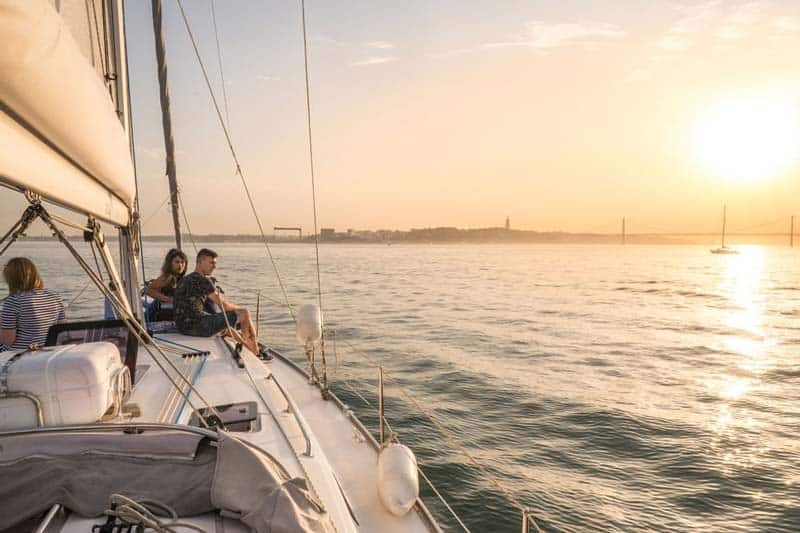 Drift down the Tagus river for 2 hours in style. Book your spot and find out why this is one of our top things to do in Lisbon. Before you scoff at the electric bike, hear us out. Lisbon, believe it or not, has hills and plenty of them! They’re known as the 7 Hills of Lisbon. See, we’re just trying to save your legs. Exploring by bike is eco-friendly and intimate. Over the 2.5-hours you’ll discover the beautiful areas of Alfama, Mouraria and Graça. The bonus? Each electric bike tour is accompanied by a story-teller. If walking, cycling and tramming aren’t your thing; take a tuk tuk. Yeah we know, we were a little surprised to find the Asian’s favourite vehicle here, too. But it works. The streets of Lisbon are narrow and steep, after all. You’ll come across many tuk tuk drivers offering a tour. Which one to trust? It’s always tricky. We recommend this City of Neighbourhoods 1-hour tour. Tip: the price is per group of 3. 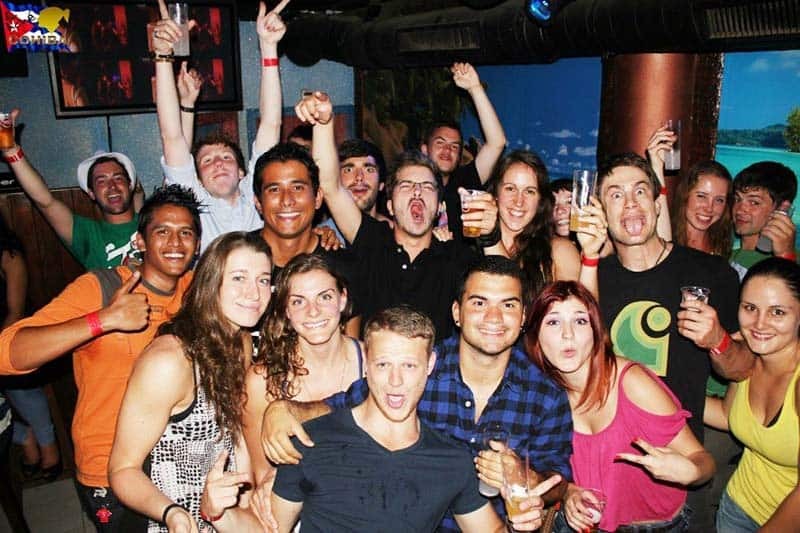 Why not find a friend or two at your hostel to join? Calling all wine-connoisseurs! Well actually, just lovers of food and wine in general. Let the culinary wonders of Lisbon tickle your taste buds. Learn something new, try something tasty. 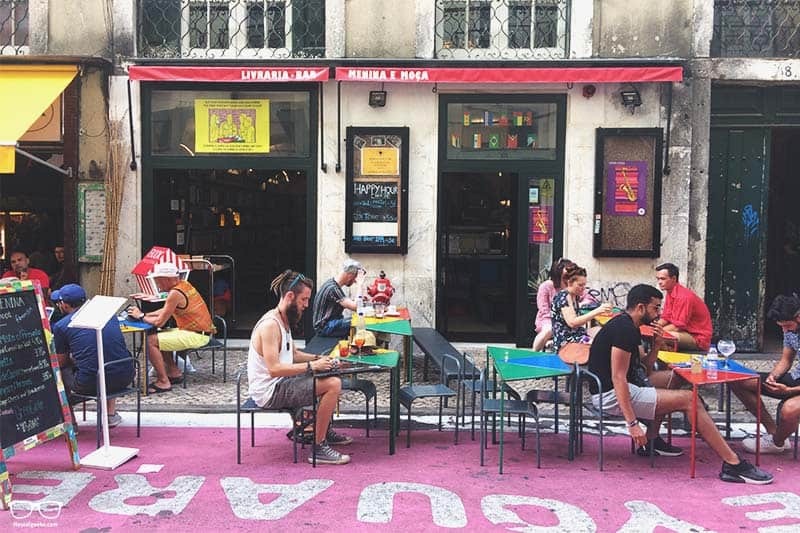 Take a 3-hour tour of Lisbon’s traditional eateries – one of the most appetizing things to do in Lisbon. There’s a beautiful palace perched on top a rocky peak less than an hour from Lisbon. Because of the distance, we recommend taking a day trip to Pena Palace. The surrounding park is a gorgeous area, too. Top tip: take public transport to Sintra. This allows for more freedom before/after your tour to explore the area. Plus it’s cheaper! This is our personal top fun thing to do in Lisbon, by far! 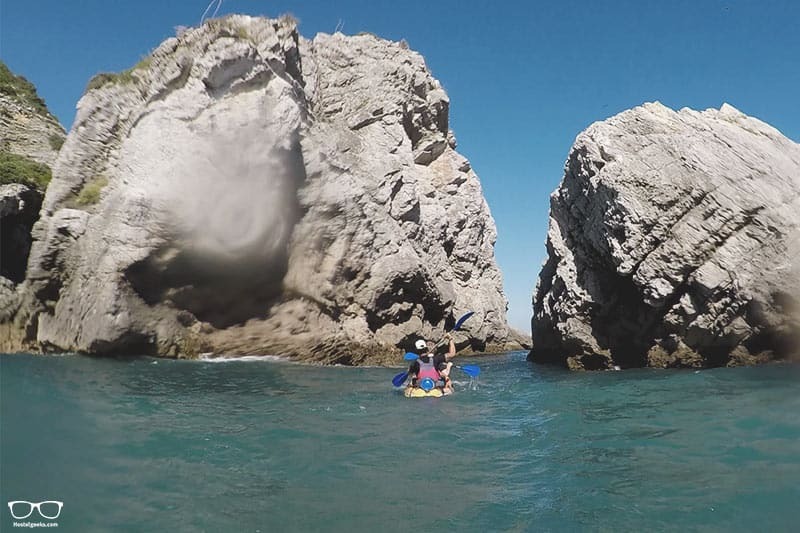 Fancy a venture outside of the city to discover jagged coastline and secret beaches? Yes please. We did it and it was fantastic. There are two popular options: a 4-hour or 8-hour kayak tour. We took the 4-hour tour and found it to be the perfect amount of time. Who knew kayaking was so tiring?! Our group was small and our guide super attentive and interesting. Recommended: take the local bus 207 or 260 to Sesimbra. This way you have freedom either side of the tour to explore. Sesimbra is around 1-hour drive from the city. Just exactly where are the best beaches around Lisbon? Which ones are less crowded? We’re sure you have many similar questions. Heck, we understand you’d rather not spend hours researching. Sometimes sitting on a beautiful beach to do absolutely nothing is needed. It’s actually encouraged! There is a hidden treasure that’s all things film. The Cinemateca Portuguesa is a museum of Portuguese film which shows films on a daily basis. There’s also a neat little restaurant inside. Some would describe it as the “most important spot for cinema in Lisbon”. Cool huh? It’s certainly a hit with the locals. 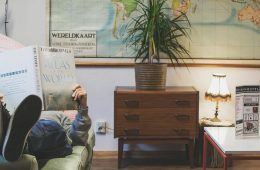 Why not do something different and purposefully go to see a foreign film with no subtitles; it’s certainly a unique thing to do in Lisbon. The Jazz scene is pretty damn cool. Especially when you enter in to a well-designed 1920s art-deco club. The Hot Clube de Portugal hosts a different night throughout the week. There is usually a jam session on Tuesdays. Entrance is free. Grab a drink, enjoy the music and conversation all at once. The purpose of Culturgest is to manage an array of culture facilities. This includes cultural, scientific and artistic activities. Visit to experience dance, exhibitions, music, theatre performance, seminars and cinema. The best thing to do would be to contact Culturgest via Facebook and enquire about upcoming events. After all the exploring your sugar levels will no doubt drop. Time to go in search of incredible sorbet! Personally, it was very difficult to choose a flavour from the 20+ options at Amorino Gelato. Until I was told I could have as many as I wanted! Recommended: choose the large cone option and go wild with flavours. 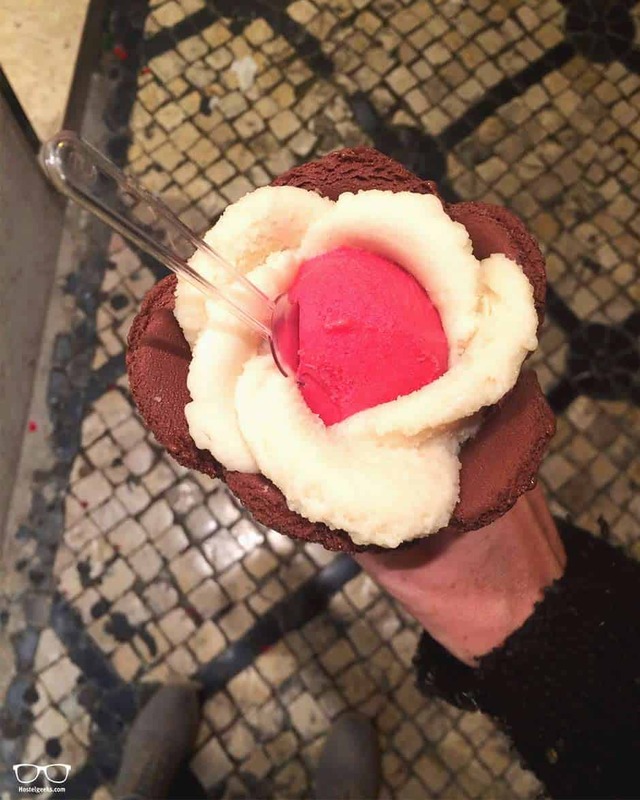 The staff will create a beautiful Amorino rose which is cleverly colour-coordinated. Psst! Vegans are catered for brilliantly here, too. For exhibition lovers, Cordoaria Nacional is one of the top spots in Lisbon. It has hosted exhibitions such as Animals Inside Out, Dinosaurs Alive and Da Vinci Inventions. 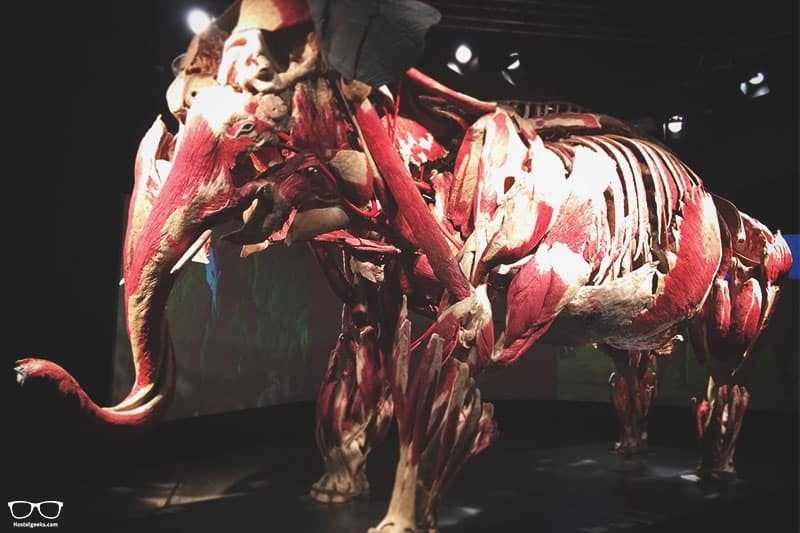 We went to see the Animal’s Inside Out and were blown away. It seems not many people know of this place, so it was lovely and quiet. It’s just a short tram/bus ride from Lisbon central – a great option for a rainy day. The best way of finding out what’s current is by contacting the museum directly. One of Lisbon’s most iconic monuments is inspired by Christ the Redeemer statue in Rio. It’s believed that the artist built Cristo Rei facing the Redeemer in Brazil. It was once a pilgrim destination. Now the monument stands over blessing the people of Lisbon. It’s location is on the other side of the suspension bridge. Views from the 82m high platform are pretty impressive! Tip: instead of paying the platform fee, climb the cliff top viewpoint which is free. 27. Who are you calling a Custard Tart? The Pasteis de Nata is a puff pastry filled with sugary, lemony custard. Simple. The seemingly simple custard tart is somewhat of a cult in Lisbon. Fad or not, who’s going to argue against a tasty treat? As for the best one in town, we’re not sure. It’s up to you to go and find out for yourself! FYI we take no responsibility for over-indulgence or food-babies. THE place in the city for a good time: Pink Street is the home of good bars. Actually quite a small area, it makes choosing a bar (or two) for the night simpler. It’s also possible to enjoy a quiet drink outside during the day. We found this wonderful little bar-come-book store called Menina a Moca. Buy a cocktail and read for free whilst nibbling on local olives. Peeeerfect. All we can say is wow. The vegan scene in Lisbon is huge! 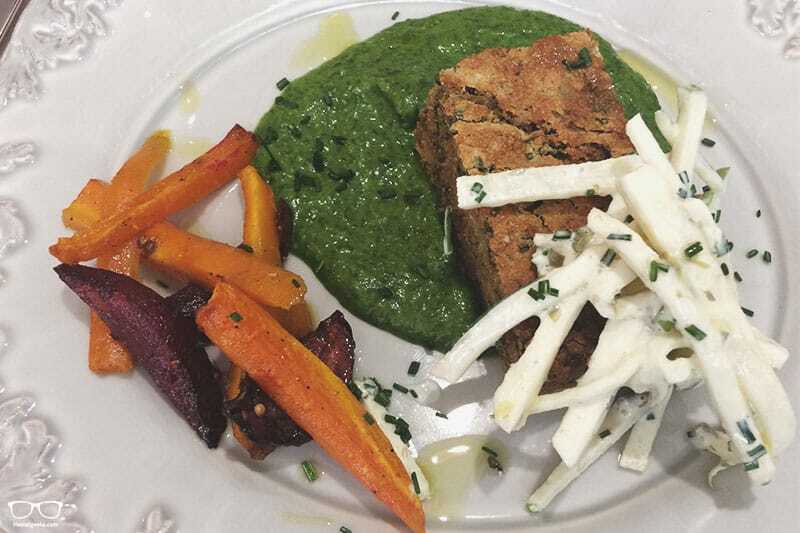 It’s no secret that veganism has grown rapidly in the last few years. With that, lots of niche restaurants are popping up all over the place. No longer is a boring rabbit salad all that’s on offer. Os Tibetanos – cosy Tibetan style restaurant. Try the mango curry. 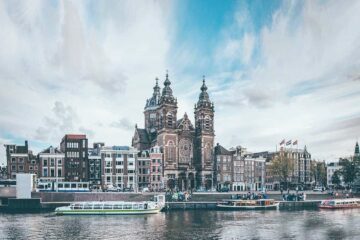 After spending a few days in this eclectic city, we have a few pointers to share. One thing we wished we’d known is just how full restaurants get in the evening. A typically Portuguese thing, it seems, is to open small spaces. Take our advice: ring and book your table in the morning before heading out. Don’t wander the streets gone 10pm after being turned away twice (like we did). If you’re in no rush and don’t mind lugging your bags; take the metro from central Lisbon to the airport. It will set you back a couple of coins at most. The Portuguese pavements are something to be marvelled at. They’re super reflective and super slippery. Expect to go blind after a few days without sunglasses. Take your time going down the hills – I slipped numerous times, as did many others. 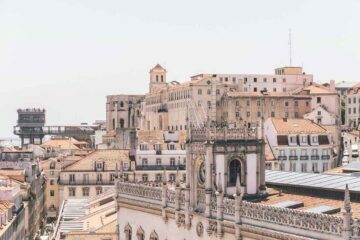 Didn’t we tell you there are so many awesome things to do in Lisbon?! We’ve put together this handy map for you so that you can familiarise yourself with where all of the top things to do are located. Have fun exploring beautiful Lisbon. (Open map in new tab here). Hopefully you’re aware by now of our awesome 5 Star Hostel in Lisbon, Sunset Destination Hostel. This central, lively hostel has a swimming pool overlooking the ocean and a fantabulous breaky. The Sunset is obviously the number 1 in town. Yet,there is more. 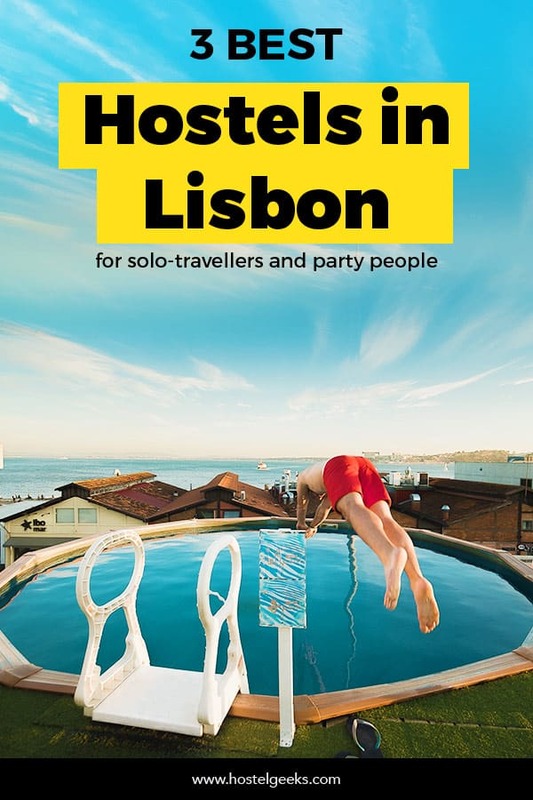 Check out our full guide to the best hostels in Lisbon. 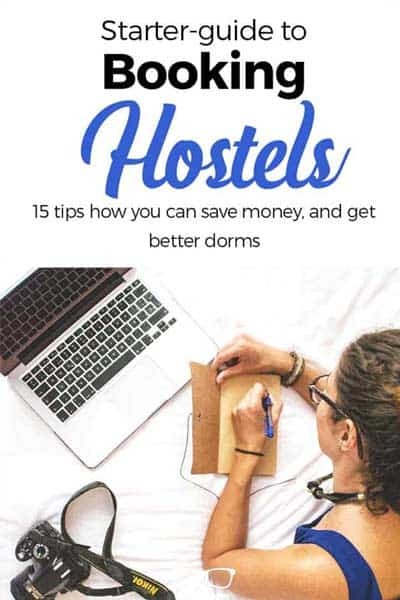 This guide covers all the boutique hostels you can imagine, and even party hostels. Of course there are many many more things to do in Lisbon. By no means is this the full list. Yet, not to worry. We will keep this list updated and always fresh. 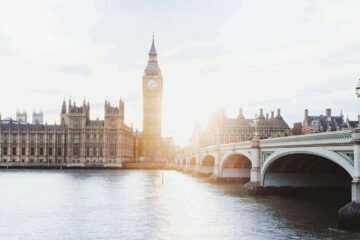 Let’s just say; the more time you have for the Portuguese capital, the better! Want more good, local tips? Download our top local tips for Lisbon here. Your comment helps us to improve this Lisbon guide.